There are times when it’s best to keep a low profile at work, but those times when you're working in low-light conditions are not the occasions you want to blend into your surroundings and go unnoticed. When conditions make visibility difficult, don’t cut corne ... (see full details) (see specifications) #C172EHV-83F. There are times when it’s best to keep a low profile at work, but those times when you're working in low-light conditions are not the occasions you want to blend into your surroundings and go unnoticed. When conditions make visibility difficult, don’t cut corners. Make sure you have the right high-vis gear, including these CAT Apparel Men's C172EHV 83F Hi Vis Trademark Trouser Pants from Working Person's Store. 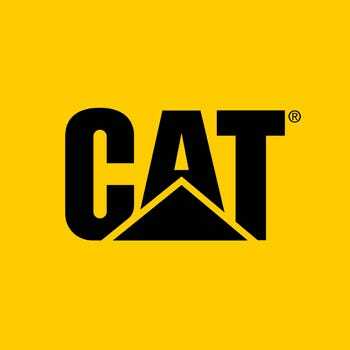 CAT built these rugged high visibility work pants for men with your safety, durability, and comfort in mind, and once you try them, you’ll wonder why you waited so long to add the Caterpillar Trademark trousers to your workwear lineup. They’re ANSI certified Class E and are constructed in bright yellow with 65mm reflective tape below the knee pocket for increased visibility. These high-visibility work pants are made to last from a medium weight 8.9-ounce blend of 80% polyester and 20% cotton twill. That polyester is a durable 900-Denier, which means this pair wears well and will also resist abrasions. And while you’ll probably wear these high-visibility CAT Apparel pants for work, you’ll find them as comfortable as other designs, if not more so. They’re cut for a classic fit, with 20-inch leg openings so they fit easily and neatly over your men's work boots. It’s tough enough to work in low-light conditions, and not having your cell phone and essential tools at hand make it worse. You can stop fumbling for your gear when you’re wearing these smart, great-fitting hi vis men's pants because they proudly feature plenty of pockets to carry everything you need to stay organized on the job. There’s even a cell phone pocket with pen loop, a tool pocket with a carpenter loop, bellowed side cargo pockets for generous room, plus-durable oxford pull-out tool pockets to keep everything you need within easy reach. And the knees even have a knee-pad pocket - just in case. When being seen can mean the difference between life and death, don’t just toss on a high-visibility outdoor jacket and hope for the best. Think about visibility from top to bottom and add a pair of high-visibility men's pants. These CAT Apparel Men's C172EHV 83F Hi Vis Trademark Trouser Pants - from the Caterpillar brand we trust - are an excellent choice with high visibility features plus durability and comfort. We have yours right here at Working Person’s Store. Order today! As the safety director at my local short track, safety is my main concern. The first night at the track after purchasing my CAT Hi-Vis pants, many drivers came up to me and stated how much better they can see me. These pants are part of our safety gear now. CAT Apparel Pants: Men's C172EHV 83F Hi Vis Trademark Trouser Pants is being added to your cart.